"Dr. Darren Huckle L.Ac, DAOM"
The basis of Darren’s practice is Chinese Medical Theory. Darren closely observes body and lifestyle patterns and creates a flexible, evolving health program. A holistic medical provider, Darren emphasizes nutrition, herbal medicines and lifestyle as primary forms of treatment. Darren believes that environmental stewardship is critical to our own health. What we do to our environment, we do to ourselves. In alignment with this philosophy, he minimizes the use of plastics and uses organically grown herbs whenever possible. When not certified organically grown or ethically wildcrafted his herbs are rigorously tested for pesticide residues. We are all inherently whole. Sometimes we need support to manifest our wellness. Treat employing minimally invasive methodologies to catalyze healing response. Acupuncture is a method of encouraging the body to promote natural healing and to improve functioning. This is done by inserting needles and applying heat or electrical stimulation at very precise acupuncture points. 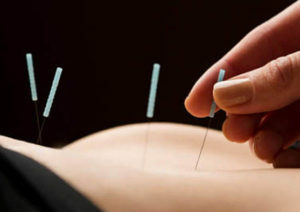 Dating back thousands of years, Acupuncture is a painless yet effective way to catalyze the body’s healing process. Acupuncture is truly amazing in its ability to restore balance to body systems regardless if they are over or under functioning. In essence we can think of acupuncture as moving energy to, or away from where where it needs to be for optimal body functioning. 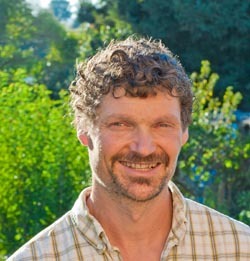 Darren Huckle is a licensed Acupuncturist in the state of California and has been treating patients for over 15 years. Herbal medicines work differently from many drug therapies. Herbs prescribed by a practitioner of traditional Chinese medicine can be thought of as strong foods. These strong foods will support the body in restoring the dynamic balance we call health. 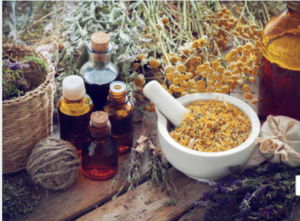 A well thought-out herbal prescription from an experienced herbalist will not only address a patient’s primary health complaints, but will also have a beneficial effect on the entire body. Rather than just treating a disease, Chinese herbal medicine supports the whole person. There are many patterns or reasons why disease develops. Chinese medicine cures underlying patterns which cause symptoms. The purpose of food and herb recommendations is to treat the patterns leading to imbalance or dis-ease. Drawing from over 20 years of experience in the field of Herbal Medicine, Darren creates custom prescriptions for patients from the highest quality herbs available.